I am looking for a tool that can make a FreeBSD bootable USB flash drive. Unfortunately YUMI doesn't have this option. I prefer a free sofware working in Windows, but Linux and paid solution can also be my 2nd option. UNetbootin allows you to create bootable Live USB drives for Ubuntu and other Linux distributions without burning a CD. It runs on Windows, Linux and Mac OS X. It's licensed under the GNU General Public License (GPL) Version 2 or above, the source code can be found on GitHub. As you can see, FreeBSD appears in the list of the available distributions. You might want to give Rufus a try. Etcher is a powerful OS image flasher built with web technologies to ensure flashing an SDCard or USB drive is a pleasant and safe experience. It protects you from accidentally writing to your hard-drives, ensures every byte of data was written correctly and much more. I like Etcher very much maybe because it was hard for me to find something which does the job in Linux, maybe because of its nice interface. Hope this helps. EDIT: Unetbootin and the others have never worked for me. EDIT 2: I just saw you're trying to install from external hdd. Then you might try LILI or Universal USB Installer, as mentioned at this page. Not the answer you're looking for? Browse other questions tagged usb bootable unix or ask your own question. 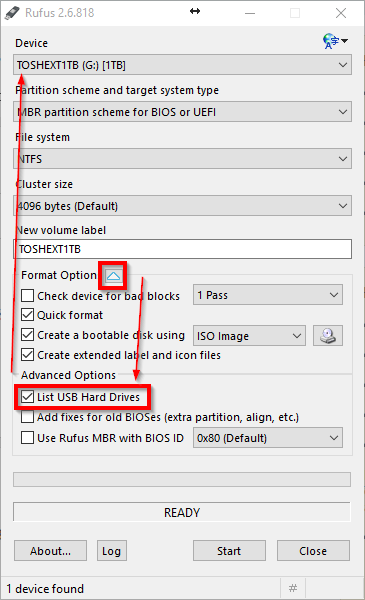 USB tool to make Windows 8 bootable from a USB flash drive?